NYS 7th grade social studies teachers can include both A and B into one lesson plan and letter C into a second lesson plan. To see suggestions for a lesson plan on both A and B called the Bering Land Bridge and Migration click here. 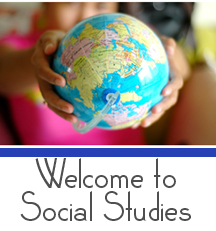 If you would like to download the social studies differentiated instruction lesson plan click here. The PowerPoint mini-lesson is available by clicking here. This entry was posted in Native American Differentiated Instruction Lesson Plans, New York State Social Studies, Social Studies Differentiated Instruction and tagged Bering Land Bridge and Migration, Bering Land Bridge and Migration differentiated instruction lesson plan, Bering Land Bridge and Migration lesson plan, Geographic Factors Influence Culture, NYS 7th grade social studies, NYS 7th grade social studies curriculum, social studies differentiated instruction lesson plan on August 9, 2012 by Kasha Mastrodomenico. 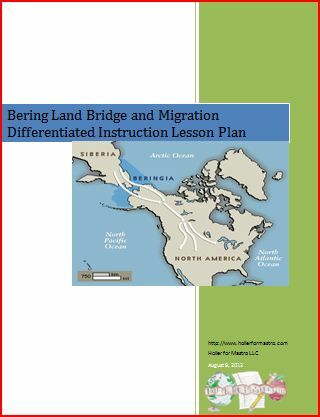 Bring excitement into your classroom by using differentiated instruction to have students learn about the Bering Land Bridge and the Migration Theories. I have differentiated instruction for the Bering Land Bridge lesson plan in many ways. I leveled vocabulary sheets (3 versions), leveled note sheets (2 versions), and provided up to 4 choices of activities based on the Multiple Intelligence Theory. I chose a diary activity, cartoon strip, play-doh and a song for the students to choose from. Giving students a choice of the activity they want to do can spark student interest. They also can’t complain about the activity since they are the ones that picked it. When I provide students with choices I see more engagement and less behavior issues. I focused on the Anthropology theory of migration over Bering Land Bridge from Asia to Alaska as well as the Native American theory of them crossing both ways because they believe they have always been here. I went into the how and why they traveled and ended with the bases of civilization. Save yourself time planning by checking out my new Bering Land Bridge lesson plan that differentiates instruction by clicking on the link. You can find the PowerPoint mini-lesson that goes with the Bering Land Bridge lesson plan by clicking here. This entry was posted in Differentiated Instruction Lesson Plans, Native American Differentiated Instruction Lesson Plans, Social Studies Differentiated Instruction and tagged Bering Land Bridge, Bering Land Bridge and Migration differentiated instruction lesson plan, Bering Land Bridge differentiated instruction lesson plan, Bering Land Bridge lesson plan, differentiate instruction, differentiated instruction, social studies differentiated instruction, social studies differentiated instruction lesson plan on August 9, 2012 by Kasha Mastrodomenico.